A fun and clever way for kids to keep track and look back. 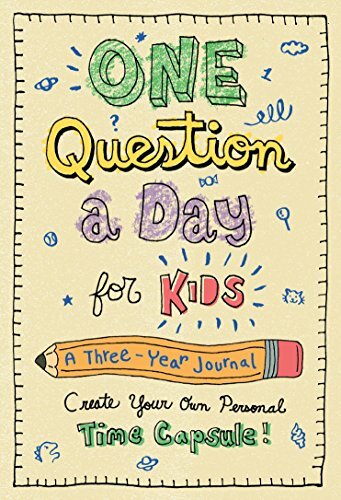 One Question a Day for Kids is a guided journal with fun and thoughtful questions for each day of the year. By answering the same question every day for three years, children will be able to see how their thoughts, creativity, and even handwriting changes from year to year. Prompts are short and sweet, allowing kids to answer as concisely (or elaborately) as they want. What's the grossest thing you've ever seen? Which of your friends do you trust the most? What's one thing your parents don't know about you? Rate your teachers from favorite to least favorite. If you have any questions about this product by Castle Point Books, contact us by completing and submitting the form below. If you are looking for a specif part number, please include it with your message.